Boston Ivy, a flash fiction story by me! Ever take time to notice how the ivy grows outside your door? Take a look, but be prepared for what you might see. In addition to reading tons of books and writing about them, I do occasionally write a bit of my own stuff, like that piece of flash fiction linked above and recently published in Flash Fiction Magazine. This story started out as a writing exercise in a science essay and memoirs class. The prompt was go outside and find some piece of nature, spend a few minutes writing about what you observe, and then see where it takes you. For me, it took me to some dark places indeed. An entomologist’s memoir about a life collecting hoverflies on the small island Runmarö near Stockholm, Sweden. The book is in part about collecting flies, but also chronicles the life of obscure naturalist René Malaise and the author’s journey tracking Malaise’s life and history. The story often jumps from topic to topic, sometimes abruptly and with no clear connection, but is nevertheless a unique and fascinating story. Sjöberg’s voice is personal and sincere, and reads as though he’s talking directly to you. As an aspiring science writer myself, I paid particular attention to the scientific aspect of the book and found it a little lacking. 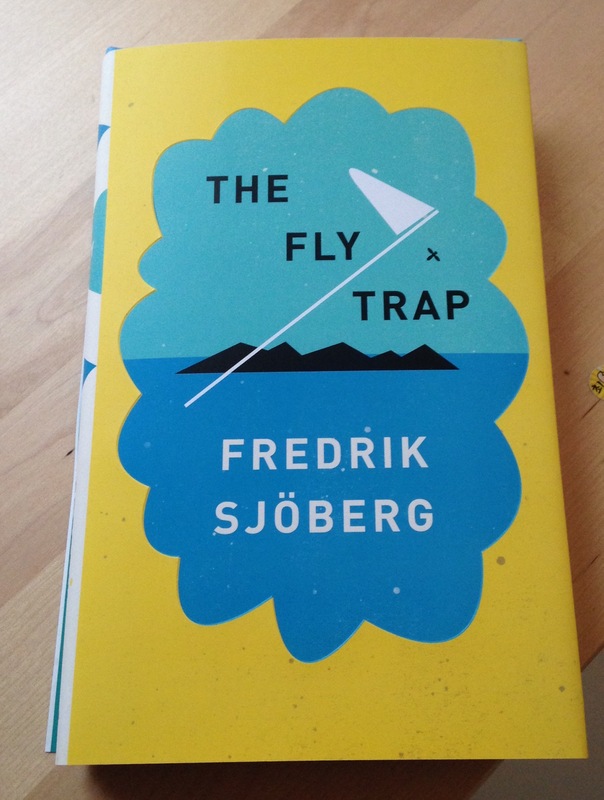 Sjöberg describes his hoverfly catching in detail, but leaves the reader somewhat in the dark about the flies themselves; the flies are name-dropped but not entirely explained. This was a book I thought could really benefit from photos. Another aspect of the book that non-Swedish readers should be aware of is that it frequently references Swedish culture and history. Sjöberg presupposes the reader’s knowledge of a few subjects. 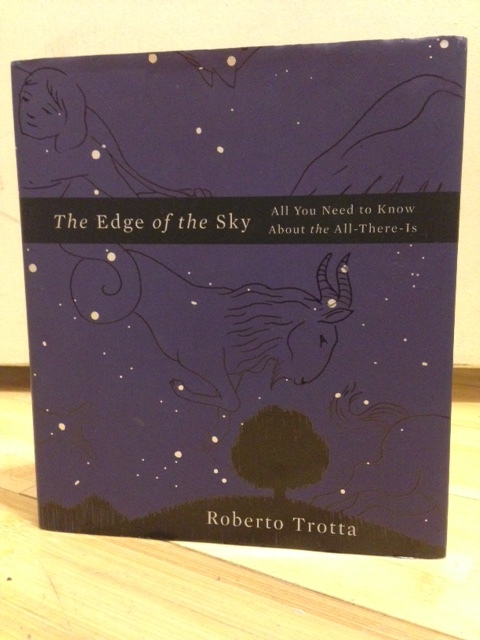 In all, if you’re looking for a passive read this might not be the book for you—you can get so much more out of it by stopping to look up details along the way. But if you’re up for this task of taking it slow (which, by the way, is a subject that comes up in the book) then absolutely give it a try. You are guaranteed to feel relaxed and to learn something new. Hidden down the twists and turns of Slade Alley is a small iron door. Behind the door is a house, where no house should be, and within that house is a pair of siblings that have been waiting for you. The moment you walk through that iron door, they’ve already got you. 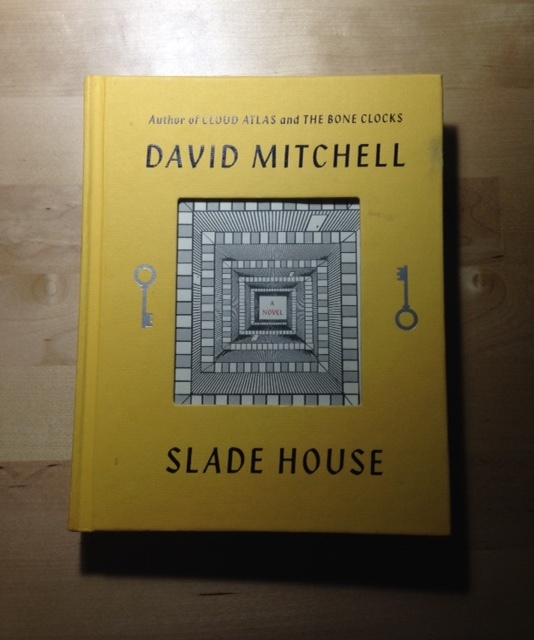 David Mitchell’s Slade House is a dark story with surprises at every turn. This is a great book for Mitchell fans and newbies alike. Those of you who read The Bone Clocks will notice some familiar themes and characters. Many critics gave this book mixed reviews calling it both “confusing” yet “accessible.” For me, the accessible part came from the ease of reading it, and how easy it was to get hooked and enjoy the story, and the confusing part came from the fact that the book seemed like it would answer some of the zillion questions raised in The Bone Clocks, but doesn’t quite. In the end I’d recommend this book for anybody who wants a fun, and slightly scary, read. Or for Mitchell fans who want more of his world, but are fine without getting any answers about it. Entertainment: 4 // Craft: 4 // Story: 4 // Scare factor: eh, 2 or 3, you’ll be able to sleep at night. To inaugurate my Bookish News section I want to share with you all the two websites that have aided me in filling my virtual bookshelf to the brim, while paying almost nothing, and kindling (get it??) a new faction of anxiety: too many books. At the rate I’m going I’ll have more books than time left to live! Anyway, the first is the website Bookbub. Sign up with your email, input the types of books you like (horror, fiction, romance, etc…) and get daily emails with ebooks on sale (I haven’t seen one over $2.99) or for free. You wont find too many bestsellers popping up, but there is an occasional jewel. You can also search for authors and following them specifically. I mainly use Bookbub to download troves of horror to read amidst or between some serious literary fiction. I now own many books that look interesting, but never would have bought if they cost more than $1! There’s a reason why I’m not a photographer. Here’s my (physical books) bookshelf. That unreadable yellow one on the top left is “The Fly Trap” by Fredrik Sjöberg. It’s next on my list. 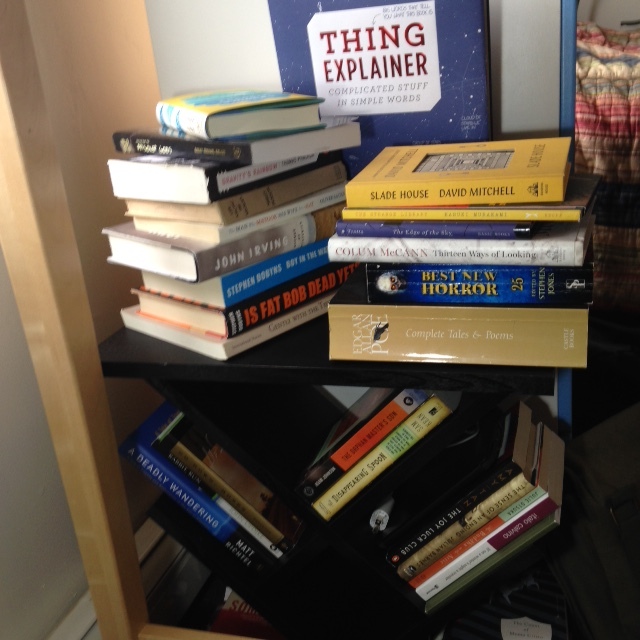 Behind it is “Thing Explainer” by Randall Munroe, which I have been digesting little by little for a month or so. The second website is Bookperk, run by HarperCollins. This one is not personalized, and apparently there is more to do if you join and pay a fee. You can sign up to get an email of the daily sales, and there’s also a twitter that talks about giveaways and other fun things, like more book sales. Of course there’s also the Goodreads Giveaways, that I mentioned before. Ah, so many hours spent here. I had a winning bonanza when I first started entering a year ago but haven’t won anything since. I think it’s because I didn’t read and review all of the books I won. So if you win something, make sure to read it if you want more! And that’s all the news I have for now. (If you have anything to add, please do!) In addition to these longer posts, I like to fill my twitter with all kinds of books stuffs on a daily basis. However, I run it dually as a books/science news feed, so you might have to wade through tweets about Pluto, farting plants, and string theory. Hi all, don’t worry I’m still here. I just got a little sidetracked with starting a new job and juggling that with online classes. Now that I’m more settled, I’ve been thinking about how to make this blog more frequent, booky, and better in general. As a first order of business, I’ve decided to make the book review posts a bit more consistent by including a short summary of what the book is about, a set of ratings, such as entertainment, craft, story and other (the other category will depend on what else I think the book did particularly well, or terrible) as well as an occasional, clearly marked spoiler section that discusses some of the book’s finer details. The purpose of this last section is to open up a discussion about the book. Of course, not every book has enough material for such a discussion. For those that don’t the post will include a summary and recommendation only, and for those that do I’ll try to think of something intelligent to say. My plan is to create book review posts that are beneficial to you, dear follower, that will give you all you need to know to decide whether to read said book for yourself, or some things to think about and perhaps reply to and discuss with me. This structure is an experiment, of course, and I’d love to get feedback as it progresses and develops. As a second order of business, I plan to add a news category. I’d like to expand this blog to include not only books and reviews, but a bit of the book lover’s world. The news section might cover a book that’s coming out soon, a funny tidbit about an author, or reading, or anything else bookish, including my own ridiculous musings. This is also an experiment, so please feel free to despise it publicly. 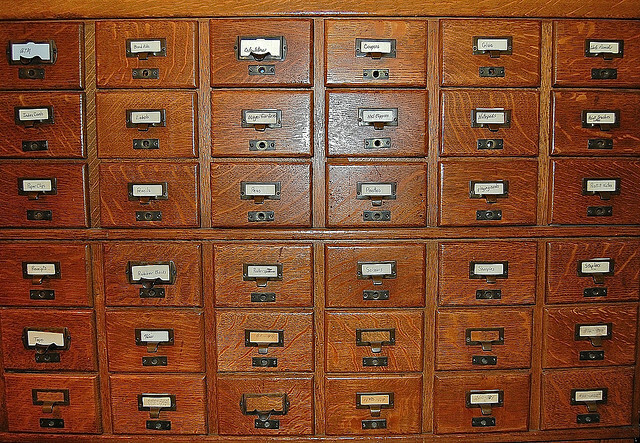 As a last order of business, I plan to do a little reorganization of categories and the Big Page of Books. I mean, what does an alphabetical list of books really do for anyone? This is still a work in progress, but I’ll let you know when it’s up and running. In the end, all of this is an attempt by me to be a little more serious about this blog, but I promise not to forgo any of my inherent ridiculousness. In fact, I don’t think I’m able to forgo it; if I did, it would probably emerge at inappropriate moments like at work, where, as an editor (which I am) discovering a mistake, I shout to the office “!!!! !” and find myself in a bit of trouble. As an extreme horror junkie, I am always on the lookout for those exceptionally rare horror masterpieces that leave me not merely scared or disgusted, but rather, utterly disturbed, and ill at ease for days after finishing the final page. 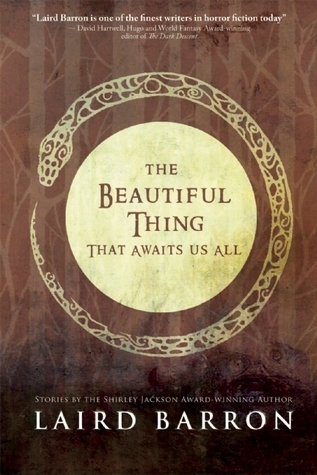 And now this: The Beautiful Thing That Awaits Us All, by Laird Barron. What can I say? Barron’s collection of short stories, in their Lovecraftian, primal, otherworldy promises of horrors beyond the classical Satan, scared the freaking bejesus out of me. And I don’t mean like “Boo!” I mean in that it made me doubt the safety of the known universe — who decided what was safe anyway? How do you know for sure? I am of two opinions of this book. One, it was a perfect book for me to read at this point in my life, being in the throes of applying for copy editing jobs, and two, that it might be difficult for someone with little interest in the subject matter to get through to the end. “Between You & Me” is a compilation of tidbits relating to copy editing and grammar, the author’s background, and life at the New Yorker. At times it was compelling, at times educational, and at some times a little bit slow – the writing was great, but the subject matter, like the exploration of pencils and pencil sharpeners, is an acquired taste. All this being said, I would recommend this book to English fanatics and literary nerds, with a caveat – don’t expect it to be a comprehensive overview of grammar. Instead read it as a memoir, full of wit and pockets of enlightening discussions. And for sure it will give you a taste of the copy editing life. As many of you may know, NASA’s New Horizons spacecraft flew by Pluto this morning, and the world is poised to (hopefully) receive its photos soon. But why am I talking about this on a blog about books? Well! When new features are discovered on an object in space they must be given names. 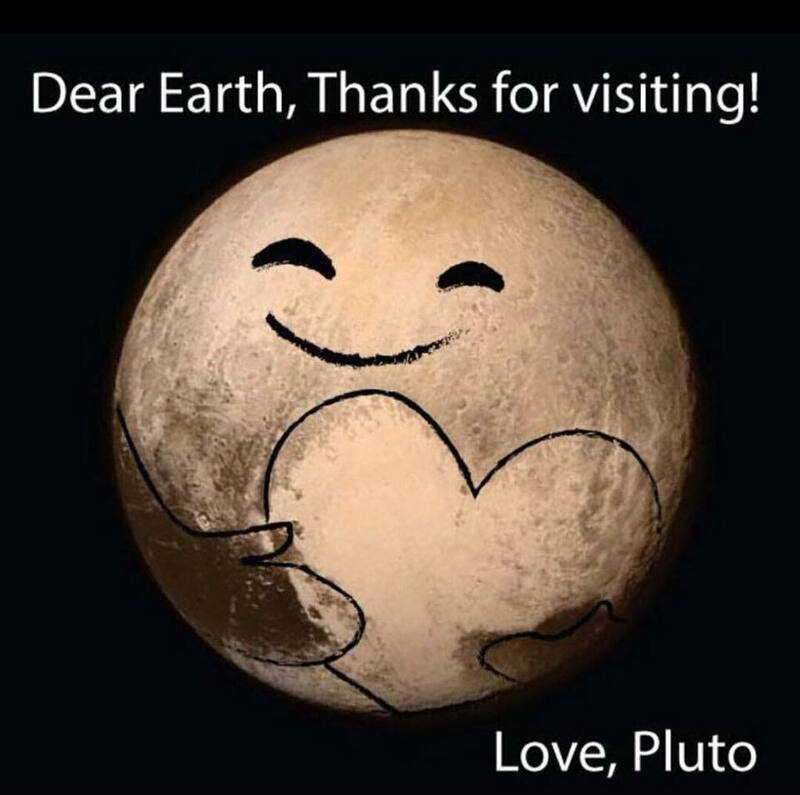 Sometimes the astronomers who discovered the feature will name it, sometimes the researchers who studied it will, but this time, the New Horizons mission team decided to ask the public what they wanted. And lo, the resulting list of names contains quite a few denizens of the literary world. You can check out a piece I wrote about this here. It has more details about the steps that go into naming features in space, and where in the process the International Astronomical Union is now in approving them. Or if you want to skip right to the goods, you can check out the list and the raw tally results. J.R.R. Tolkien seems to be the most popular, but though I would also like to see him immortalized in space, what I really want to see is Cthulhu find his rightful place among the stars. 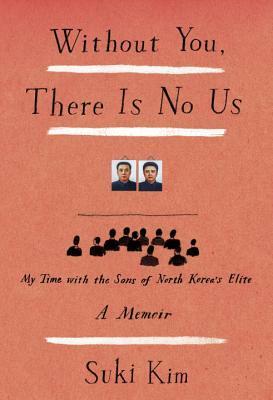 Suki Kim’s memoir “Without You, There Is No Us,” is the one of the closest looks we have gotten to peeking behind the yellow tape. The story is about her time as an English teacher in a school for North Korea’s wealthiest children. The school was built, funded and staffed by Evangelical Christians, and Kim, in a sense, snuck her way inside. As a non-Christian and well-known writer on North Korean issues in the U.S., she spent her time in double-undercover, sneaking notes onto a USB drive that she kept around her neck at all times. Kim’s struggle to reconcile her wish to enlighten her students to the goodness of the outside world, and her wish for them to remain ignorant and loyal to the regime, and therefore safe, is heartbreaking. Even for someone like me, who has lived in South Korea, visited the North Korean border, and learned a lot about the country’s history and regime, it was still surprising to learn how deeply and successfully North Korea has built itself on lies. No matter what you know about this country, there will be something inside this book to open your eyes and make you think. Although at times Kim’s musings about her own dilemmas of missing home seemed melodramatic, I still highly recommend this book to everyone.